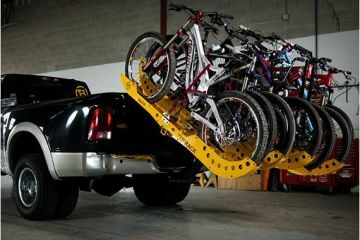 There’s no shortage of options when it comes to storing your bike at home, whether you want to hang it up a wall or set it down on its own shelf. 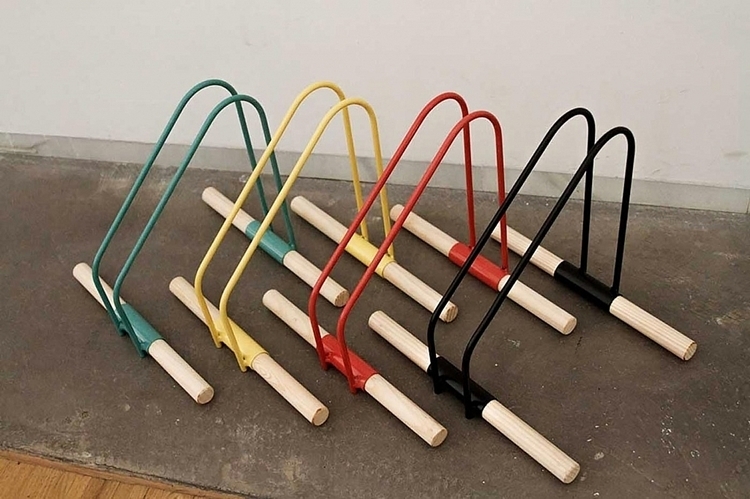 If you prefer the old fashioned way of keeping it standing, however, this WAO Bike Stand looks like it’s totally cut out for the job. 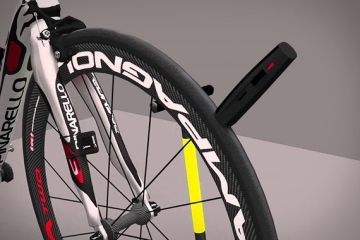 A simple standing rack, you simply place one of your bike’s wheels into the slot and you’re done. No fancy hanging mounts and large furniture to install. 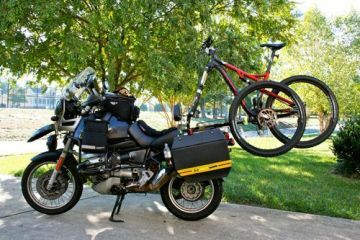 Just a compact stand that you can easily set down in the living room, bedroom, garage, or wherever else you prefer to keep your trusted two-wheeler. 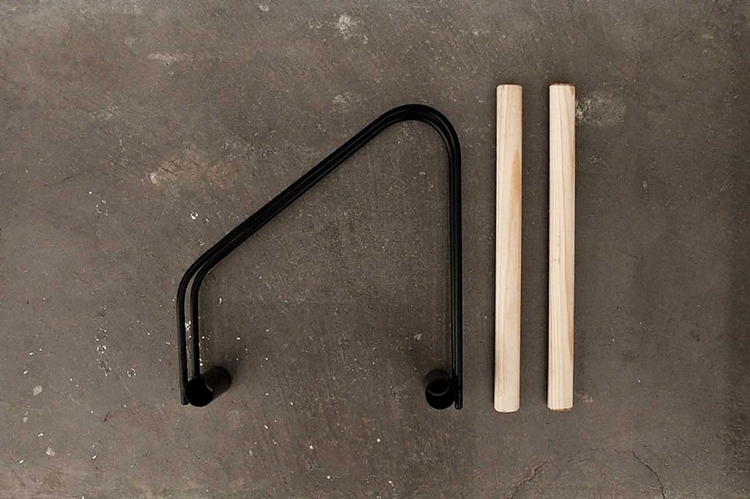 The WAO Bike Stand uses steel for the actual rack, with a base cut in Mediterranean pine. 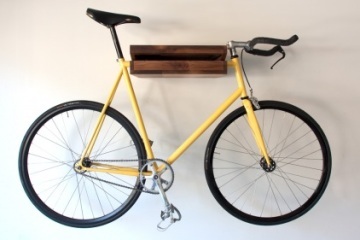 With its dead simple design, compact frame, and attractive combination of materials, it’s bound to fit right inside the house, whether you live like a perpetually-stoned pothead with a collection of Pipemugs, an erudite professor with rows upon rows of dusty hardcovers, or like Taylor Swift in that music video where they drove bicycles inside the house. Yes, they can park in the stand after they’re done. The wood is kept in a natural finish, although the steel section is painted in either red, yellow, teal, or black finish. Each unit is individually handmade in Valencia, Spain. 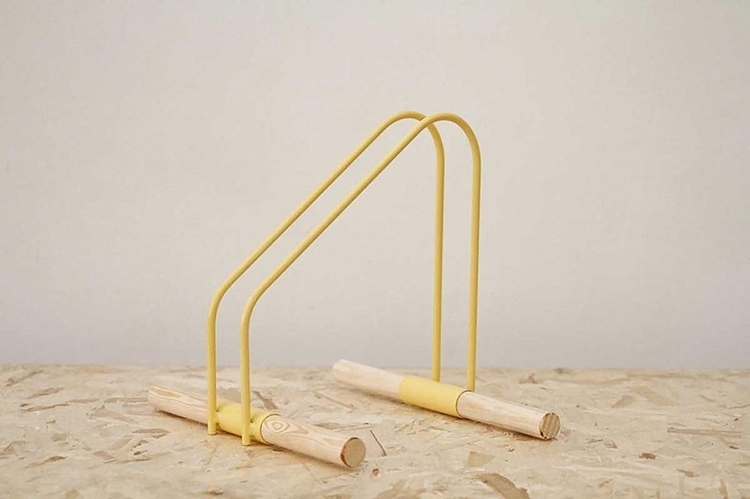 While only recently debuted at the Barcelona Design Museum, the WAO Bike Stand is already available from the outfit’s Big Cartel store. Price is €40. This would be cool to have, at least one or two of them. 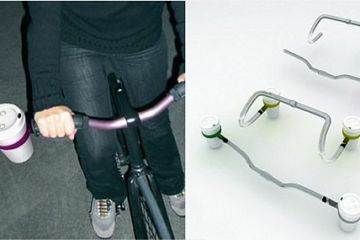 To be honest though, they kind of look a bit flimsy, but then again I wont know unless I try one of them out. The little wood bars don’t look like they’d take much, but like I said, need to try it first before I judge it. 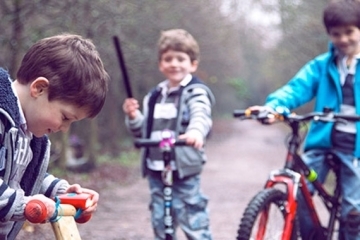 We’re using them with fixes and heavier mountain bikes, with no trouble!